We’ve discovered the correlation between the software that operates in our cells (DNA) and the software we create for computers—it turns out that they work the same way. So the question becomes: must there be a programmer? This comes down to an understanding of the limitations of considering life only “as we know it”—and what exactly do we “know” and what do we merely believe? It’s generally viewed as an either/or proposition. In other words, we’re all that exists and if we did not exist, there would be no meaning in the universe. Since we’re all we currently “know” anything else is speculation and “supernatural” or non-naturalistic. But what exactly is “non-naturalistic”? Was epigenetics non-naturalistic a few years ago—the now known fact that environment affects how genes express? By what energy or force does this happen? Since Life proceeds intentionally toward survival and evolution, how can it not precede the functions that it affects—DNA itself? There is no proof that evolution gave rise to intentionality, only that it manifests or occurs intentionally. If we see how DNA works as the expression of symbols that can be decoded, as software, it would seem to be the reverse—namely, difficult as it may be to understand or comprehend logically—it is intention that gives rise to evolution and “runs” the processes of life itself. A well known thought scenario that addresses this issue, first posed by English theologian William Paley (who made a case for “Creationism”) is the problem of finding a watch in a forest. His argument was that since life is far more complex than a watch, it could not have come about by “chance” and needed a creator – or in the terms of software – a Programmer. This becomes a “proof” for those who forward Intelligent Design as the basis for a belief in the fundamental tenet of many religions – a Supreme Being who created everything and also a skepticism about science—the debate of course has led to conflicts about the teaching of Evolution in schools as scientific truth. Scientists like Forrest, addressing this argument on behalf of Darwinism as the key representation of scientific thought, point out that Evolution alone, when considered with natural selection and the immense spans of time through which it operates, is sufficient to adequately explain the complexity of life. Like the watch, the quality that software (and DNA by extension) possesses is not mere complexity (that it took a supercomputer to decode the genome is impressive but not the point). The quality that is undeniable and that we take for granted–because we ourselves manifest it every day–is that the operation of DNA epigenetically represents the activity of a Mind. Chance alone, and no amount of rolling dice would ever have produced Microsoft Word—we can fully understand that computer software is the product of a huge team of programmers who thought out what they wanted to achieve – it manifests the epitome of intentionality. 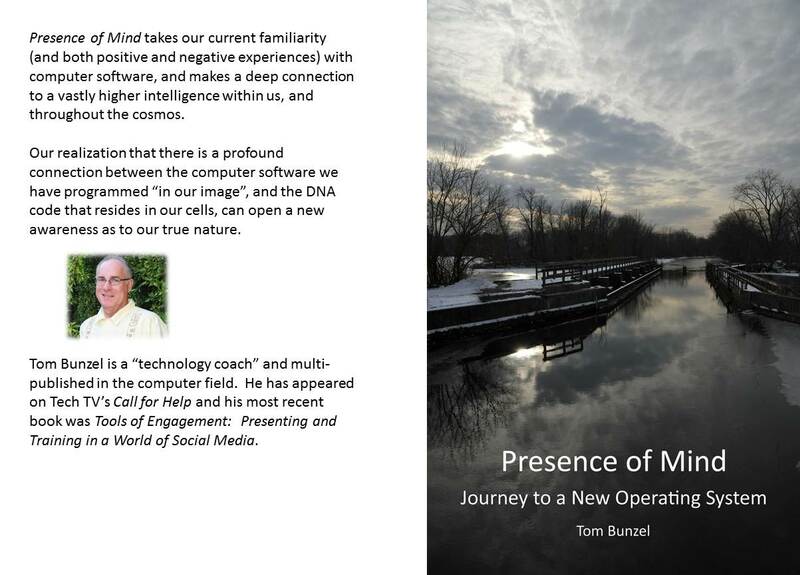 By its nature, therefore, DNA also suggests a high degree of conscious intention—it is a program by any modern definition, as troubling as that conclusion may be for today’s scientists—and “meaning” is an undeniable “feature” of our software that they choose to ignore. Mind is an inconvenient subject for science, because how do we know Mind exists? Not through knowledge or logic but undeniably — by experience. Interestingly this is the same way physicists have come upon the troubling inconsistencies and apparent paradoxes brought to light by quantum mechanics. They had to go with their experimental experience—even though it seems to suggest that on the subatomic level an object may be in two places “at once”—and that nothing manifests in reality without an observer. And apparently behind or underneath it all is Mind or Consciousness. The problem with this type of inquiry is that most people prefer to remain oblivious to its troubling consequences, so that indulging in it can make you feel very separate and alone. Up until now it has meant filling in the value of the variable “God” with a sense of certainty that may not be warranted and cannot be proven scientifically. But the presence of the variable as the empty space, container or “no-thingness” as Eckhart Tolle among others calls it as a reality of existence becomes apparent through our experience. But that Life operates as a “program” based on conceptual instructions now seems an unavoidable truth of nature, as does the fact that subatomic particles behave in ways that suggest that the presence of an observer affects their location or movement. It may not “make sense” to our current myopic view of Nature, but neither did a subatomic particle traveling faster than the speed of light a few weeks ago—or Epigenetics—or the vastness of our galaxy and then our universe of immense galaxies. So my attempt to find the faith that sustained my father intellectually may be doomed to failure. I believe this is a function of the limitations on the part of our mind, within our brains, that thinks in words like “God” in order survive, and reacts in a necessary 0 or 1 duality—Good or Bad, Hot or Cold, Male or Female – while Life operates at a much higher level or frequency—beyond this duality. 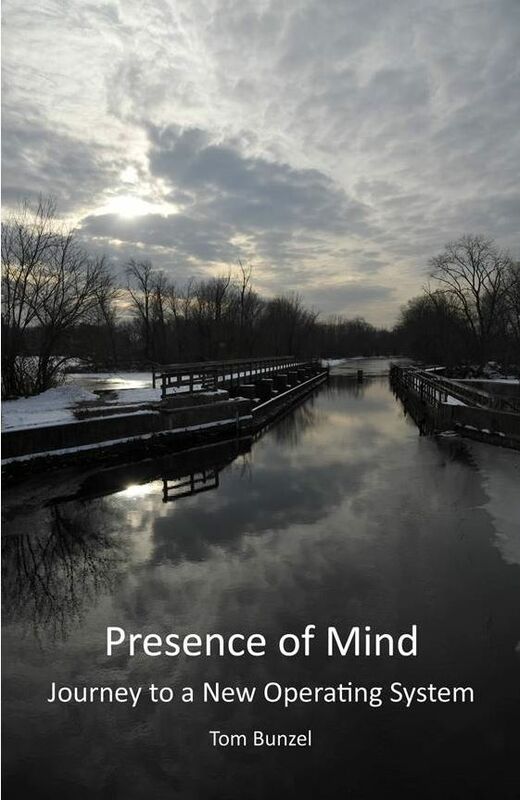 If we observe ourselves carefully we can connect with a faculty that is separate from such dualistic thought—at first briefly—and eventually for longer periods of peace and calm. In our connection with this “higher frequency”, sometimes through mediation, many of us are becoming more acutely aware that our survival as a species actually hangs in the balance—the very meaning of our own planetary evolution—if we can connect with such higher meaning or intelligence. A program without a Programmer? It makes no “sense.” And neither does much of quantum physics–or when you “think” about it, the vastness of infinite space discovered by astrophysics. So the ultimate source of any “meaning” in nature may not lie in our limited scientific deconstruction of the world, as advanced as we have become, but rather in our approaching sense of the very boundaries of our intellectual understanding, and the need to connect with what is unmistakably Higher and more Intelligent than we are—with a different faculty beyond the intellect–our hearts. There is no “higher source” – and a program without a programmer is your problem, not the programs. Who’s need is it to connect with something “unmistakenly Higher and more Intelligent”? Not mine. I gave up trying to reach the end of infinity once I understood there is, by definition, no end. Science may not be perfect, but it is all we have to work with. Reasoning in a bathtub is fun for some, but the ultimate source – the beginning and the end of the water in the tub – where it comes from and where it goes – will forever remain a mystery. That there is no ultimate source is the same conundrum as infinity. A very well thought out argument Tom. And Mr. Jay plays the secularist’s reply well. If you can’t taste it, see it, smell it, feel it or measure it, then for all practical purposes it does not exist. I think you both have a point. A germ, for all practical purposes, did not exist prior to microscopic technology. That is not to say that it did not impact our existence, but “where it comes from and where it goes” was a complete mystery. Fortunately there were the individuals looking for something to occupy them in the tub that kept searching for something that wasn’t there. They finally developed the tools to ” taste it, see it, smell it, feel it or measure it”, and man kind progressed. I think that striving to know the unknowable is the surest sign of intelligent design. Why else should we not be satisfied with our existence as it is? Don’t forget that all arguments, secular or otherwise are framed and contingent upon our dualistic language- subject/object, god/science, et al. Not being satisfied for me is a function of seeking meaning beyond “just this.”. Jay doesn’t see the point while for me the fact that anything exists, much less a reality so far beyond our comprehension, is the one thing that fascinates me beyond all else. It may well be unknowable but I sense that fleeting connections are possible and worth investigating, and I think bringing others into the investigation is worth the effort.